Summer is near and we’re bracing ourselves for the never-ending heat this season. It’s about time to visit the ocean or someplace cool. Now, we’d do anything just to be able to keep our cool under the summer heat. From simple hacks like chewing mint gum to preparing ice packs, we’re all prepared this season. The big question is, is your home and family ready? Of course, every year the temperature is just getting worse and worse. If you are unsure the simple hacks for summer will work, why not level up to air conditioners? Trust us; your family will be more than thankful. Let’s try to analyze if ductless air conditioning is good for you and your family. Ductless Air Conditioning can be installed in less time compared to the traditional central air conditioning. You’ll need at least a two-person crew to install the ductwork of a central air conditioning. Not to mention it takes a week to finish the job whereas, a ductless system could be finished within the day. These units don’t take too much space. They’re perfect for small spaces like apartments and dorm rooms. Ductless units can also cool individual rooms in bigger homes like basements and attics. Ductless AC units are easy to operate. They have a remote control that lets you choose the right temperature. You don’t have to get out of bed to adjust the room temperature. It’s just within your reach. You don’t have to spend every penny you have just so you can make your family feel comfortable this summer. Ductless AC units won’t eat up your power bill unlike traditional units. This system is efficient enough not to cause a surge in your bills. 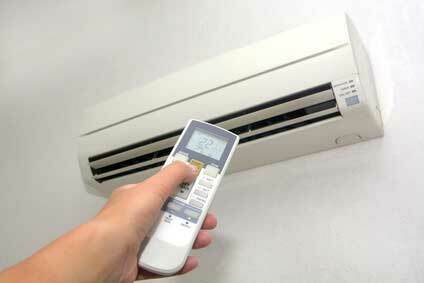 Other types of conditioners tend to be noisy, but ductless AC systems are quiet. They only make a quiet hum. Amazingly, these units are comfortable in a sense that they don’t even disturb your sleep. With a ductless air conditioner unit in mind, you don’t have to worry about the summer heat. In addition to that, you’ll provide your family the best home environment there is. If you’d like to find out more about Ductless Air Conditioning, simply contact us at 647-591-2683 and we’d be happy to help you out!